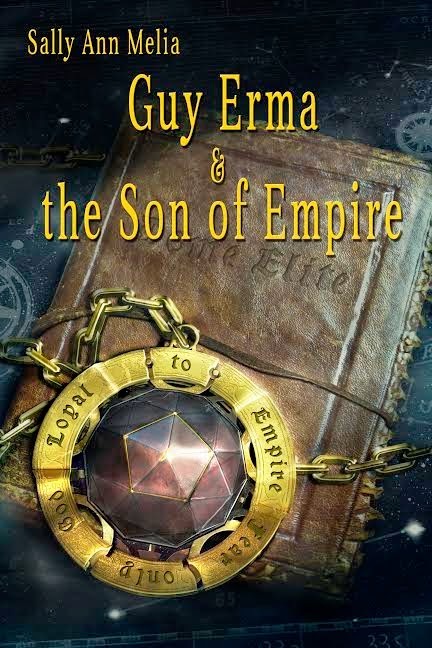 Guy Erma and the Son of Empire is a swash-buckling, roller-coaster, action adventure thriller for boys and girls. The story should appeal to those of you who enjoyed The Hunger Games by Suzanne Collins and The Harry Potter books by J K Rowling. Teodor has fallen into the hands of the ruthless yet charismatic Chart Segat, a populist politician, he is also head of the military crack space troops: the Dome Elite. Teodor’s mother, Regent Sayginn of Freyne 2 will use every resource at her disposal to find and free Teodor … The only question is can they get to Teodor in time? Meanwhile in the shadow of the Dome, living a life of desperate poverty is another boy: 13-year-old Guy Erma. His only dream is to join the Dome Elite, and the only way he can do that is by ‘doing whatever Chart Segat says.’ Whatever he says! Just when I'm ready to say that science-fiction isn't really my thing, along comes a book that proves me wrong yet again. Guy Erma & the Son of Empire, while geared towards teens, certainly didn't let this grown up down. Filled with a brand new world and all sorts of new characters, I had a hard time putting this book down. Honestly, if you enjoy sci-fi, then this could be the perfect rainy day afternoon read for you. That, or plan on staying up late because you're not going to want to put it down until the very end.